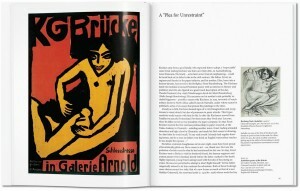 Ernst Ludwig Kirchner (1880–1938) is regarded as one of the key figures in 20th-century European art. A Modernist to his bones, he sent seismic waves through the art world with his hard-edged, intensely colored paintings and disseminated his ideas through Die Brücke art movement and the MUIM-Institut school of modernist painting, both of which he cofounded. Kirchner’s work reconciled past and present through an Expressionist prism, reflecting the latest avant-garde ideas in art, while exploring traditional academic approaches and subjects. 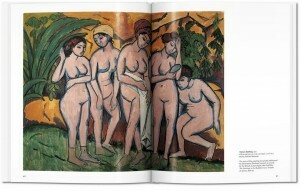 His works tackled social, moral, and emotional questions with a fierce intensity. 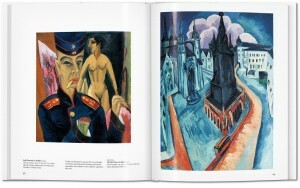 Distorted perspectives, rough lines, and unusual colors were mainstays of his practice, as well as a recurring interest in capturing the human form, whether in frenetic city vistas such as Berlin Street Scene (1913) or in his famously decadent studio. 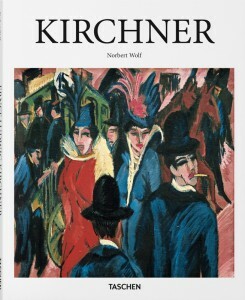 In this introductory book, we explore the stretch of Kirchner’s career through Germany and Switzerland, including his founding of Die Brücke, and his inclusion in the Nazis’ infamous “degenerate art” exhibition in 1937. Along the way, we’ll encounter vivid landscapes, stark nudes, intense urban settings, and, above all, a persistent emphasis on the emotional experience of painter and viewer.